You could be putting yourself at a higher risk of many health conditions should your levels of Vitamin D be low. Vitamin D deficiency is one of the most common and simple signs of ill- health. Vitamin D plays a vital role in your overall health and wellbeing – and in the prevention of many chronic diseases and cancers. Deficiency and insufficiency of this “sunshine” vitamin is a global public health issue. It is estimated nearly 1 billion people globally are affected with vitamin D deficiency. The primary source of vitamin D is sunshine. When your body is exposed to a sufficient level of sunshine, a chemical reaction is stimulated which produces vitamin D. The recommended exposure to the sun daily is 15 minutes (with little clothing) and away from the hottest time in the middle of the day. In addition, vitamin D is also found in foods like egg yolk, fortified dairy products (including milk, cheese) and grains, some fish, fish liver oils and supplements. The global challenge with low levels of Vitamin D arises from the low exposure we have with the sun living our typical western lifestyles (i.e. predominantly indoors and covered). The ‘slip slop slap’ message in Australia from the 1980’s has been a major contributor of low Vitamin D levels in the population. Ironically rates of Melanoma cancer have risen in the period since this message was first promoted – which some researchers attribute to Melanoma cancer rates to actually increase. Supplementation is another strategy for increasing your serum level of Vitamin D. The WHO RDA (recommended dietary allowance) for vitamin D supplementation (IU/day) for children under 12 months is 400 IU, adults is 600 IU, and those aged above 70 is 800 IU. However, evidence now suggests these recommended RDA are far too low to have an impact on raising blood serum level of Vitamin D to the level required to avoid its contribution to chronic disease, alyzym and cancer. Current recommendations in Vitamin D research suggests you require 4000 – 5000 IU/ day. What are the health consequences of Vitamin D deficiency? 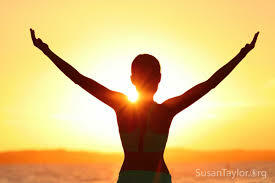 It’s well-known that Vitamin D is required for bone health as it enables the body to use calcium from your daily diet. Low levels of vitamin D leads to Rickets in children (a bone disorder due to improper mineralization of bone tissue resulting in poor bone health) and osteomalacia in adults. Low bone density, bone loss and increased risk of breaking bones also result from vitamin D deficiency. Osteoporosis, a disorder of bones when bones get broken or damaged easily by becoming weak and brittle, is also caused by vitamin D deficiency. Several studies indicate that individuals having vitamin D deficiency are at an increased risk of getting type 2 diabetes later in their life. However, its not a conclusion as further research is needed to know whether vitamin D supplementation can be helpful in regulating blood sugar levels. Vitamin D deficiency and heart disease seem to be correlated according to several studies. As per the findings published in Circulation Research in January 2014, low Vitamin D levels increase your risk of heart disease including, high blood pressure, stroke and atherosclerosis. The risk of multiple sclerosis (MS) is lowered in individuals who have higher levels of vitamin D, suggests a recent study. The study further states that vitamin D can actually slow the progress of MS. So, it is suggested that those having higher vitamin D levels are quite less likely to get MS.
Schizophrenia affects around 1.1 percent of US adults. Common symptoms of this brain disorder include withdrawal from others, hallucinations, trouble in paying attention and incoherent speech. It usually occurs in individuals aged between 16 and 30 years. The risk of getting schizophrenia is twice in people having Vitamin D deficiency, reveals a study published in Journal of Clinical Endocrinology and Metabolism. Insufficient levels of vitamin D lead to cognitive decline, abnormal brain structure and dementia, states a study published in JAMA Neurology. The study involving a group of elderly people showed accelerated cognitive decline had an association with low vitamin D levels. Meanwhile, study is being conducted to know the role of vitamin D supplements in treatment as well as prevention of dementia and cognitive decline. Higher level of Vitamin D is linked to lower risk of colorectal cancer reveals a 2011 analysis involving around 1 million subjects. As per a studying published in Clinical Cancer Research in May 2014, there seemed to be a strong connection between prostate cancer and vitamin D levels. It showed that African-American men having insufficient vitamin D levels were at higher risk of testing positive for cancer as compared to those with normal Vitamin D level. Symptoms of depression are more likely in people with low Vitamin D levels. Multiple studies show a relationship with depression and Vitamin D deficiency. Further support is provided in many Nordic cultures where rates of depression soar during the winter months when day light is only experienced for short periods during the day. The role of Vitamin D supplementation is vital in these circumstances to ensure adequate levels are obtained.